With your focus on building your down payment fund and figuring out what your mortgage payment will be, it’s easy to overlook some of the smaller fees that are included when you buy a home. 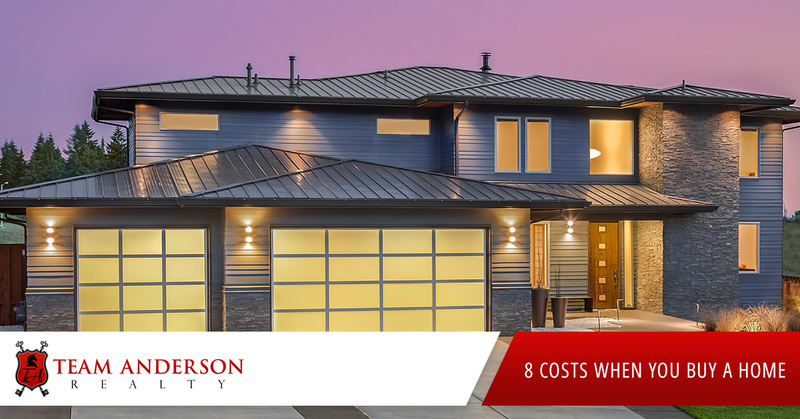 Here are eight and what they could cost you. A home inspection helps protect you from purchasing a home that could be a lemon, so you don’t want to forgo it. Inspectors will look for signs of structural issues, mold, and leaks; assess the condition of the roof, gutters, water heater, heating and cooling systems and more. Inspections cost between $300 and $500, and whether or not you end up purchasing the property, you still need to pay this fee. The Appraisal report goes to your lender to assure that the property is worth what you’re paying for it. If the appraisal comes in lower than the purchase price, the seller has the option to reduce their asking price in order to move forward. An appraisal can take about 30 minutes to 2 hours and costs between $200 and $425. Before approving you for a loan, the lender is going to run your credit report and charge you an application fee, often lumping the credit report fee in with the application fee. This can cost $75 to $300. Be sure to ask for a breakdown of the application fees to understand all costs. In the state of North Carolina, a Real Estate Attorney is used for every real estate transaction. These fees cover a title search of the public records for the property you are buying, notary fees for the person witnessing your signature on documents, government filing fees, and more. For the buyer, these can cost between $750 and $1,200 depending on the attorney that is used. The buyer will receive a line item for each cost about a week before closing. Your lender will charge you this upfront fee for making the mortgage loan. This includes processing the loan application, underwriting the loan (researching whether to approve you), and funding the loan. These fees are quoted as a percentage of the total loan you’re taking out and generally range between 0.5 to 1.5%. The survey is a report ($150 to $400) confirms the property’s boundaries, outlining its major features and dimensions. When you put down less than 20% on your new home, the lender requires that you purchase PMI, which is a policy that protects the lender from losing money if you end up in foreclosure. So PMI is a policy that you have to buy to protect the lender from you. PMI rates can vary fro 0.3 to 1.5% of your original loan amount annually. There are various ways to pay the PMI, and your lender will help you choose which option is best for you. This is the cost (about $50) to ensure that all property tax payments are up to date and that the payments you make are appropriately credited to the correct home. Always ask questions when it comes to understanding the fees you’re paying. if possible, print out documents and go through the with a highlighter to indicate any areas you have concerns about. Discuss them with your lender or real estate agent and determine if you can negotiate any of them.